Many people worry whether or not they’re saving enough money for retirement. To make matters more complicated, there is a lot of conflicting information out there when it comes to retirement savings goals, the ideal withdrawal rate, and more. When people start researching retirement savings, many of them just want to know “the number.” And when I say “the number,” or the total amount they have to save to feel comfortable retiring and not working for a few decades. This number, of course, is going to be different for everyone. It depends on many factors, including your lifestyle, retirement age, and extra income sources. If you take these into consideration, spend time assessing your current spending habits and goals, and invest wisely, you can be well on your way to reaching “the number” — whatever that looks like for you. When deciding how much to save for retirement, consider your post-retirement lifestyle, the cost of healthcare, your longevity, the age at which you want to retire, and whether or not you want to work part time while retired. How do you want to live out your retirement years? Do you plan to travel the world or does working on your garden at home sound more your speed? Most people think they’ll maintain the same level of spending when they retire, but it’s common for people to spend more when they leave their jobs because they often travel, eat out more, or pick up expensive hobbies. In order to know what kind of lifestyle you want, it’s important to have a strong handle on the life you’re currently living. If you don’t track your spending or know how much your life costs every month, now is a great time to start. It’s hard to project how much money you’ll spend in the future if you’re not sure how much you’re spending today. To get started, spend 2-3 months tracking all of your expenses and decide if that’s the level of spending you want to maintain for the rest of your life. You might find you need to cut back a little now to save more for the future. Alternatively, you might find that you want your retirement years to be filled with more luxuries than you have today. Once you know the type of life you want in retirement, you can make a plan to save for it. According to the 2017 Retirement Health Care Costs Data Report, healthcare costs for a healthy 63-year-old woman retiring today and living to age 89 are projected at $362,607. That’s 29.9% more than a 65-year-old male, whose healthcare costs are estimated at $279,176. Needless to say, whether you’re male or female, you could be facing large medical bills in your retirement years. Many people plan on paying for these costs with their Medicare plans. Remember, however, that you will have to pay for Medicare. One way to alleviate the cost of healthcare to open a health savings account. You can also apply for a long-term care insurance policy when you turn 60. However, the best way to reduce your healthcare costs is to take good care of yourself throughout your life. The healthier you are, the less likely you’ll experience chronic, expensive health issues in retirement. Another factor to consider when determining how much you need to retire is longevity. Due to advances in technology and medicine, people are living much longer today than in the past. According to Pew Research Center, projections estimate there will be 3.7 million centenarians (aged 100 and above) across the globe in 2050. That means that your retirement may very well be longer than 20, 30, or even 40 years. A longer life generally means more expenses and medical costs. On the bright side, it might also mean you’ll get to enjoy the benefits of continued compounding interest on your investments. Still, when you’re trying to figure out how much money you need to retire, it’s best to overestimate in case you’re among those in the current population who will live well past 100. When we think of “retirement age,” many people think of the age 65. However, there’s a growing population of people committed to the idea of retiring early. 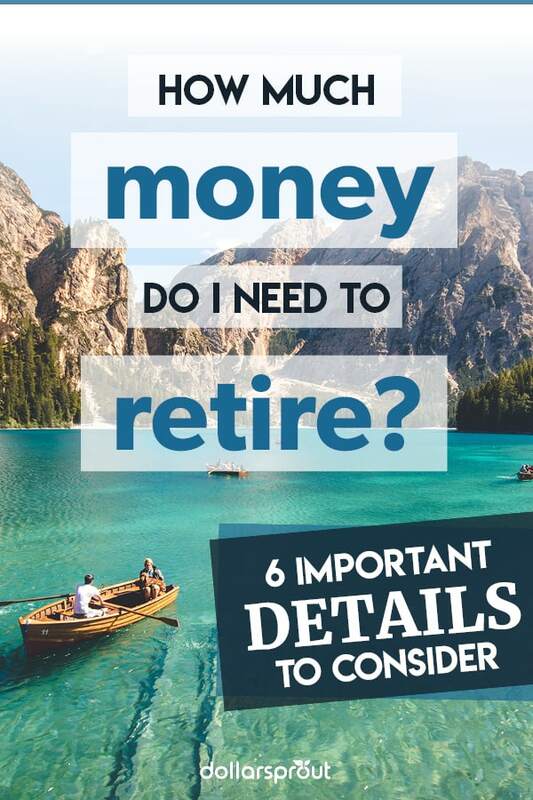 Your retirement age is an extremely important factor when figuring out how much money you need to retire. The earlier you retire, the more you need to save. Additionally, some people get close to their retirement age and realize they’d like even more money saved, so they might work to age 70 or longer. There is no right answer when it comes to what age to retire. Some people enjoy working and don’t plan on doing anything else. Others will pick up part-time employment just so they don’t have to trek to a 9-to-5 every day. Whatever age you decide to retire, set a plan and then overestimate your savings to give yourself a cushion. Many people are able to retire and supplement their retirement savings with part-time employment. Of course, there are many ways to make an income in retirement. You can start a business, work at your favorite store and enjoy discounts, or choose from the various work-from-home jobs available today. Many early retirees start blogs about their journey and earn an income from their websites. Others dabble in real estate investing, angel investing, real estate syndication, and more. There are many ways to make extra money in retirement if you have the time and interest. Retirement doesn’t have to mean traveling every month or playing golf seven days a week. There are ways to satisfy your intellectual curiosity, network with other people, earn money, and build a post-work life you love. In order to retire on time with enough savings, you’ll need to set a specific retirement savings target that takes all of the variables mentioned above into account. A withdrawal rate is the amount of money you’ll take out, or withdraw, from your retirement accounts. When you hear things like the “4% Rule” or the “3% Rule,” that amount refers to the percentage you’ll withdraw your first year of retirement. After the first year, you’ll continue to adjust the percentage based on inflation, your returns, and other factors. Should it be the 4% Rule or the 3% Rule? To put it another way, your withdrawal rate might be different from other people you know since each of these factors vary from person to person. See Also: Digit Review: Should You Trust This App with Your Money? There are many ways to begin your retirement savings journey. First and foremost, you’ll want to take advantage of any opportunities you may be overlooking. The easiest way to start saving for retirement is to take advantage of your work-sponsored retirement plan. If your employer offers a 401(k) match, you’ll almost always want to participate. With this type of program, your employer will match your 401(k) contributions up to a certain percent. For example, if your employer agrees to match contributions up to 4%, that means if you contribute 4% of your salary, so will your employer. In total, your 401(k) savings will be 8% of your salary. That’s an immediate 100% return on your money just by contributing to your 401(k). It’s also important to pay yourself first. Put another way, save before you spend. If you have a work-sponsored retirement plan, that makes saving for retirement a little easier because it can automatically be deducted from your paycheck. However, it’s import to save on big-ticket items, too, especially over the long term. If you don’t feel like you’re able to save enough for retirement, focus on increasing your take-home pay. The first step you can take is to ask for a raise at work. If the issue lies in a lack of opportunity within your industry, look for cost-effective ways to improve your current skills or develop new ones, like taking free coding classes online. 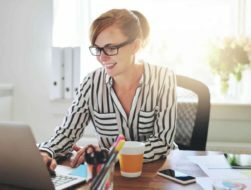 In addition to that, there are numerous side hustles you can use to make extra income. Tanja Hester used this method to retire early. She and her husband were both political consultants and earned high incomes. However, instead of indulging, she kept her expenses low, which enabled her to save a large portion of her income and eventually retire early. If you find you need help along the way, you can also speak with a financial advisor or Certified Financial Planner™ (CFP®). Financial advisors can help you with your retirement planning in a variety of ways. According to Roger Wohlner, “Components include a realistic retirement budget to fit your lifestyle and a thorough review of all financial resources that will be available to you.” For example, an advisor can walk you through retirement plan options like a 401(k), IRAs, pension, Social Security, and other investments. Wohlner said that a financial advisor can give you advice about when to take your Social Security. They can also help you “develop a retirement withdrawal strategy” and manage your tax liability in retirement. Of course, not all financial advisors are created equally. 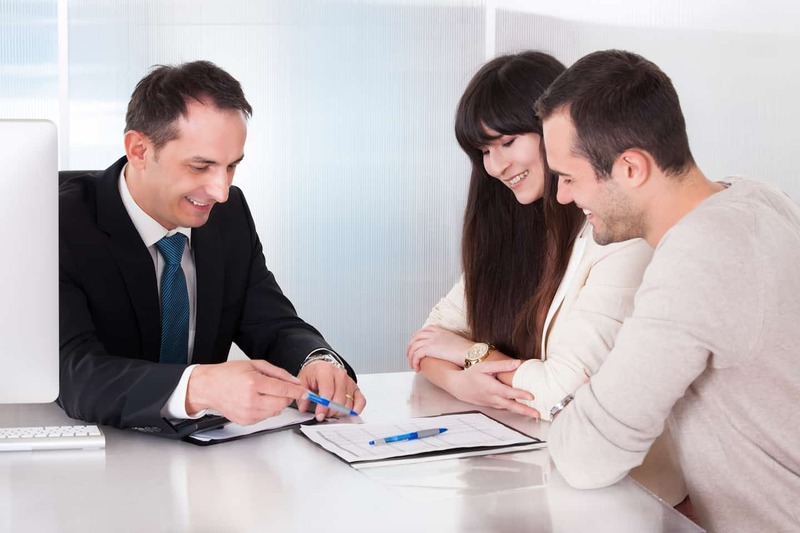 It’s important to find the best financial advisor for your needs. You can do this by asking them very specific questions, such as how they are paid and if they make money from selling insurance products. What you want is to find an advisor who truly loves teaching people about personal finance, regardless of how much money their client makes. It’s also helpful to find an advisor who is fee-only, which means they charge a flat, monthly rate for their services. Alternatively, you can find an advisor who charges you a low investment fee but does not try to sell you specific products and has a fiduciary duty to their clients. That’s how you’ll know if they have your best interests at heart. Generally speaking, the Certified Financial Planner™ designation is the gold standard of the financial services industry. The guidelines mentioned above regarding how much money to save by each age are just that — guidelines. Don’t feel discouraged if you feel behind. The best time to start saving for retirement is yesterday, but the second best time is today. By thinking about your retirement goals and doing a few calculations, you should now be able to answer the question, “How much money do I need to retire?” The best way to start saving for retirement is to look for the low-hanging fruit, such as an employer matching 401(k) program at work. From there, take a look at your budget for ways to save more money. Finally, figure out how you can increase your income to save even more towards your retirement goals. If you need extra help creating your retirement plan, consider speaking with a Certified Financial Planner™.